I watched your video on the initiation of the downswing. Your 'tips' were most useful; in fact, the most useful that I have found. Your explanation of the initiation of arms made a significant difference to my 'striking' of the ball. I have just started playing again at 65 after 20 years of not playing; I never knew what I was doing 20 years ago. Your 'tips' have lengthened and straightened my shots, on both irons and drivers. Your 'tips' were clearly presented, in a seemingly informal way, as no other video has achieved. 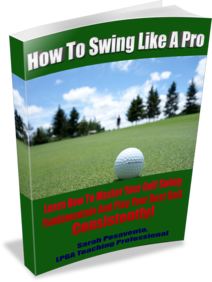 Get more of my latest golf swing video tips by clicking on the links below. This is a great way to improve one area or specific thing in your golf game. How Much Tension Should You Have In Your Swing?